Hi, I have been a qualified massage therapist for the last 2 years and already have a number of holistic qualifications under my belt. I have now developed my techniques further by completing an advanced deep tissue massage and a sports massage course, which enables me to work precisely and much more deeper. Originally from the Greater Manchester, I had lived in Brighton on the South coast of UK for the past 2 years and have a built up and large client base. I have treated athletes at the Brighton marathon and Hove ladies football team but now I live in France. Being part of the Dr. 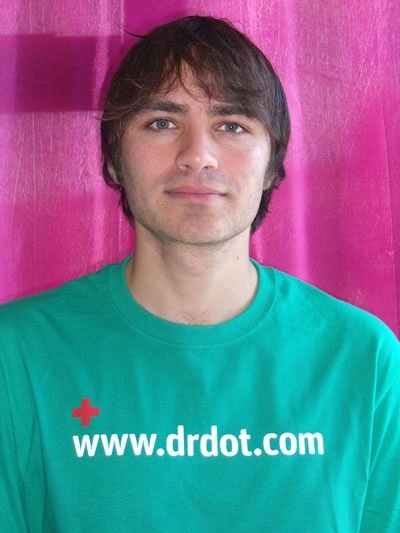 Dot team is an exciting part of my career, mixing passions of massage, traveling and music all into one. I'm looking forward to treating you as I'm sure your looking forward to being treated.